It won’t be this year for Lleyton Hewitt. 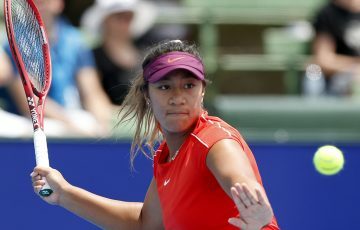 In circumstances in which he usually thrives, Hewitt’s Australian Open campaign ended in first-round disappointment early on Wednesday morning with a dramatic loss to Argentine David Nalbandian. All the familiar ingredients were there for Hewitt. 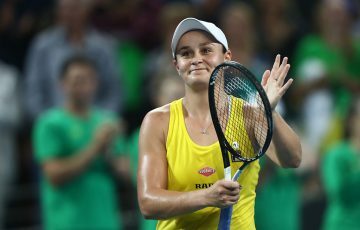 A late night stretching into early morning, a five-set epic, a tough opponent at Rod Laver Arena. 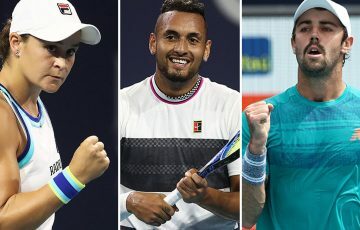 But unlike so many times when the Australian had gutsed out a win in the dead of night, Hewitt’s brave fifth-set fightback wasn’t enough as he let a two sets to one lead evaporate to lose 3-6 6-4 3-6 7-6(1) 9-7 in four hours and 48 minutes. The match swung on a knife-edge throughout a remarkable fifth set of the highest quality. Trailing to an early service break, Hewitt eventually took advantage as Nalbandian wobbled to level up the decider at 5-5. 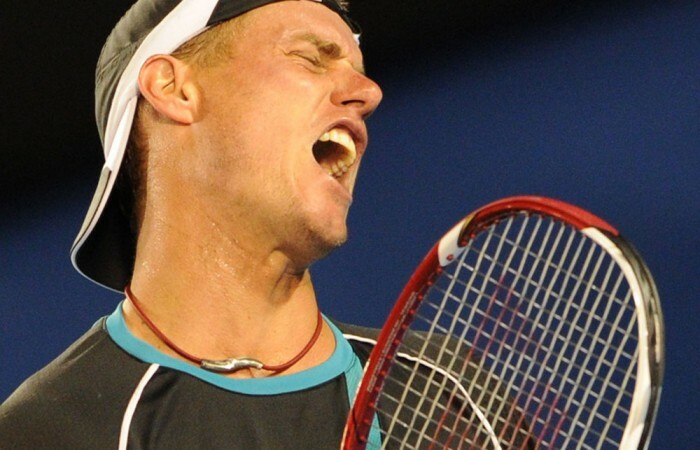 Hewitt then had two match points, which Nalbandian saved – one with an outrageous drop shot. The Argentine grabbed the upper hand with a superb sliced passing shot on Hewitt’s serve at 7-7, then converted a resulting break point and held his own nerve and serve. 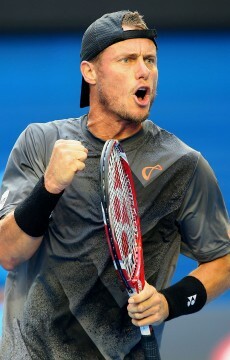 Just once in 15 appearances at Melbourne Park has Hewitt gone beyond the fourth round at his home Grand Slam. And as Hewitt approaches his 30th birthday, the question is will the Australian now ranked outside the world’s top 50 ever be able to win the tournament that means so much to him as his career winds down? Hewitt started like a man with early dinner reservations, winning the first set and looking like turning back the clock against the man he beat for arguably his biggest success in the 2002 Wimbledon final. But 27th seed Nalbandian hit back to take the second, then looked to grab the advantage when he broke Hewitt in the opening game of the third set. Hewitt then appeared to galvanise his game following a slanging match with chair umpire Pascal Maria over a disputed call. He reeled off wins in six of the following seven games to take the set and what appeared total control when he broke Nalbandian’s serve in the first game of the fourth. 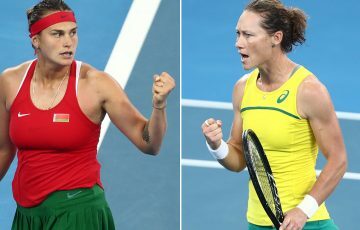 But the Argentine wouldn’t go away, breaking Hewitt twice before the Australian broke back to send the fourth set to a tie-break. Nalbandian then ramped things up, unleashing cold winners galore as Hewitt made uncharacteristic errors to lose the tie-break 7-1 before an epic fifth set unfolded, finishing just after 1:00 am local time. 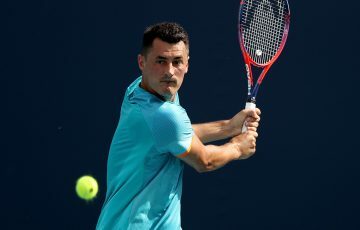 Hewitt’s demise leaves Bernard Tomic the last remaining Australian in the men’s singles draw. A clearly devastated Hewitt admitted his frustration at being on the wrong end of a close result against his long-time rival. 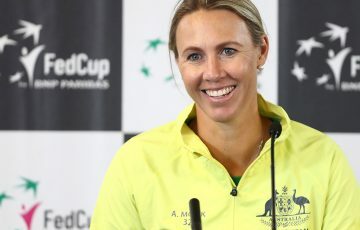 “I’ll sit back and look at it, but right at the moment it’s disappointing,” Hewitt said. “To come so close and fight for so long and not quite get the win, it’s frustrating.